The very much-anticipated Avengers 4 trailer has arrived, and with it the Infinity War follow-up’s title: Avengers: Endgame. The trailer begins—much like the Marvel Cinematic Universe itself—with a lone Tony Stark (Robert Downey Jr.), aka Iron Man, afloat in the vast desolation of space, facing certain death due to lack of food, water and oxygen. Things look a bit less bleak back on earth, though not by much: The Avengers who managed to survive the Infinity War with Thanos (Josh Brolin), including Captain America (Chris Evans), Black Widow (Scarlett Johansson), Bruce Banner (Mark Ruffalo), Thor (Chris Hemsworth), Nebula (Karen Gillan) and a returning Hawkeye (Jeremy Renner), are left to pick up the pieces of their defeat and gear up for “the fight of [their] lives,” with one last-ditch plan to undo what Thanos—of whom we see little, save his armor and giant, purple hand—did to 50 percent of existence. Reassured by Black Widow their plan is going to work, a resolute Cap replies, “I know it is, because I don’t know what I’m gonna do if it doesn’t.” The trailer does have one bit of positivity for us, though: An Avenger forgotten in all the chaos of Infinity War shows up on their doorstep, and he very well may hold the key to taking down Thanos. Today’s trailer also reveals that the Infinity War follow-up’s release date has been moved up from May 3, 2019, to an undisclosed date in April—the film’s first poster, also shared by Marvel on Friday, delivers the exact date: April 26. 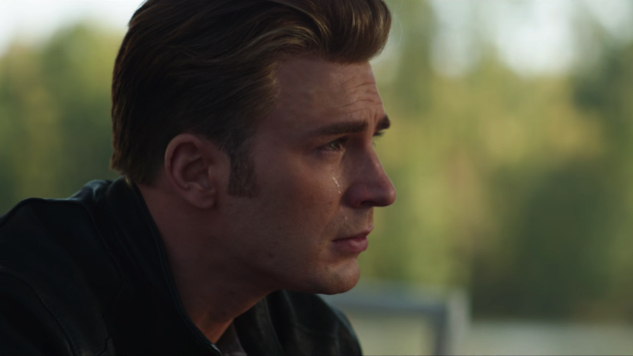 Directors Anthony and Joe Russo, and screenwriters Christopher Markus and Stephen McFeely return to see their Endgame through. Watch the Avengers: Endgame trailer and see the film’s first poster below.